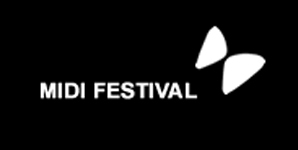 Held in Hyeres, French Riviera and supplying some of the best bands of the past five years as some of its attractions; MIDI Festival is destined to satisfy every music lovers desires. Some of the bands to grace the face of the beautiful country are Primal Scream, Alt-J, The Horrors and King Krule. MIDI festival also brings a variety of R&B and Dance artists to the event, and is displayed in the close quarters of the 'OMEGA LIVE' room.